Hoping you all had a great Wednesday, from Southern California. Wow. How beautiful! Great shot! 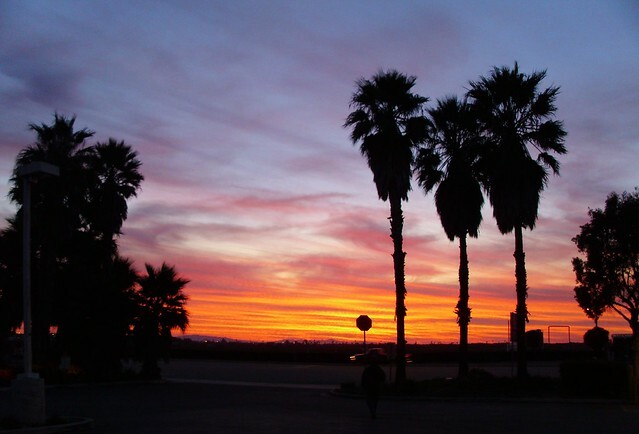 UGH every year around this time I get the itch to go visit family in Cali (cuz by now Im usually freezin my buns off) and that sunset makes me want to go even more! Your pics are great what kind of camera are you using if you dont mind me asking? Wow what a great shot of a beautiful sunset! Thanks for sharing your talent with us! What a stunning sunset! Thanks for sharing it.